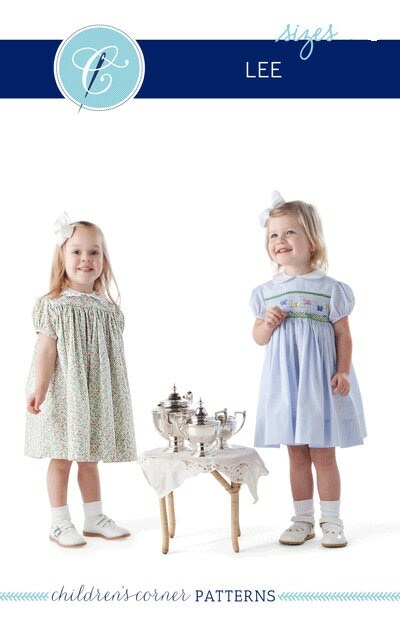 Lee is a basic yoke dress that may be smocked or not. It can also be made with a smocked collar. 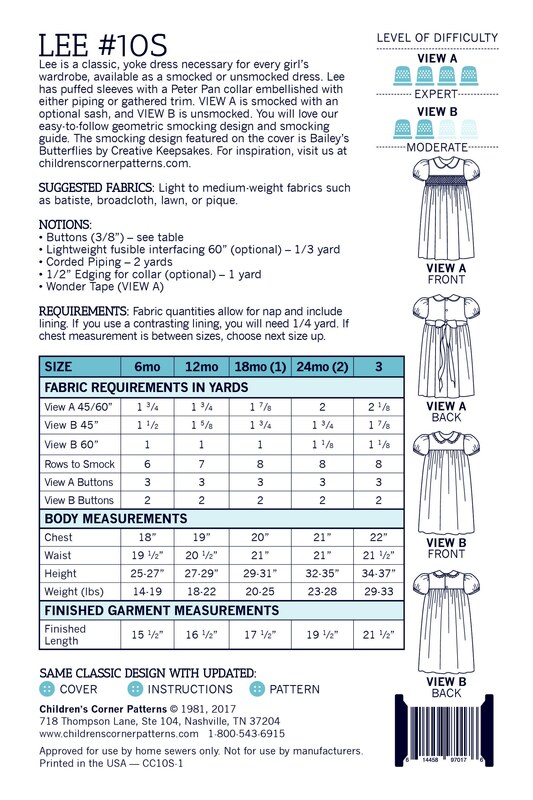 In Views A and B, Peter Pan collar and puffed sleeves are piped. View A is smocked front and back. View B is smocked on the front only, with a lowered back yoke line. View C has a smocked collar. 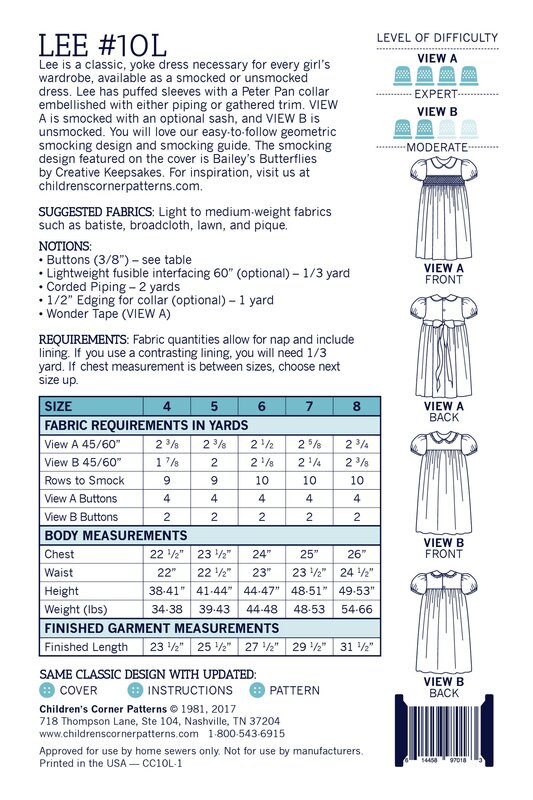 A Smocking design is included.